Please welcome Deirdre from the blog JDaniel4’s Mom! 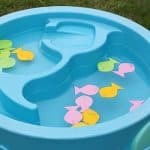 Today she’s sharing a fun counting activity for kids inspired by the popular children’s book, Fish Eyes by Lois Ehlert. 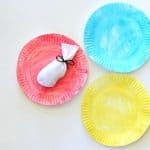 This activity would make a great addition to any unit on ocean animals, creeks and streams, or an author study of Lois Ehlert. 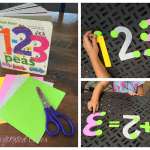 Whether you are exploring fish, numbers, or adding with your kids, the book Fish Eyes by Lois Ehlert is wonderful fish-themed math book to read. 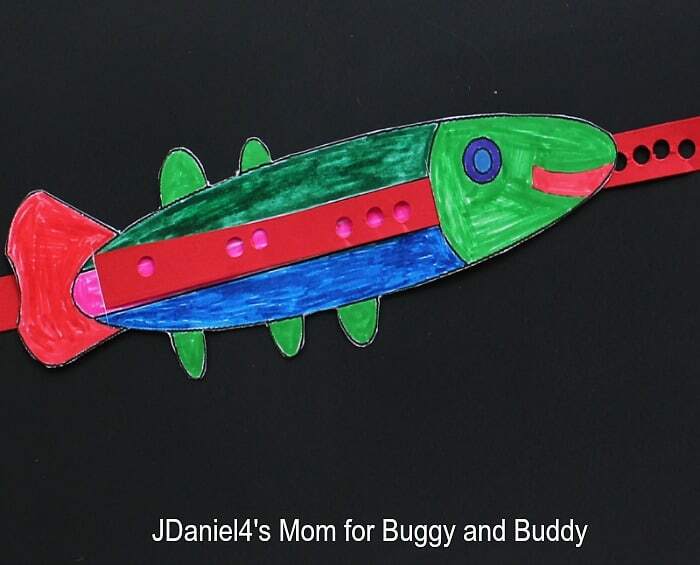 In this story, a small fish invites readers to follow him on a journey. As he encounters other fish throughout the book, he explains that this group of numbers plus him equal a new number. That new number is then explored on the next page spread. 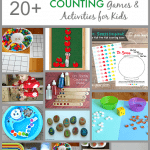 It is such a fun way to explore the numbers one to ten. 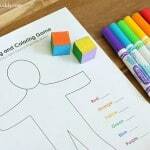 After reading a fun book, I like to come up with a craft or learning activity that explores the book’s theme. 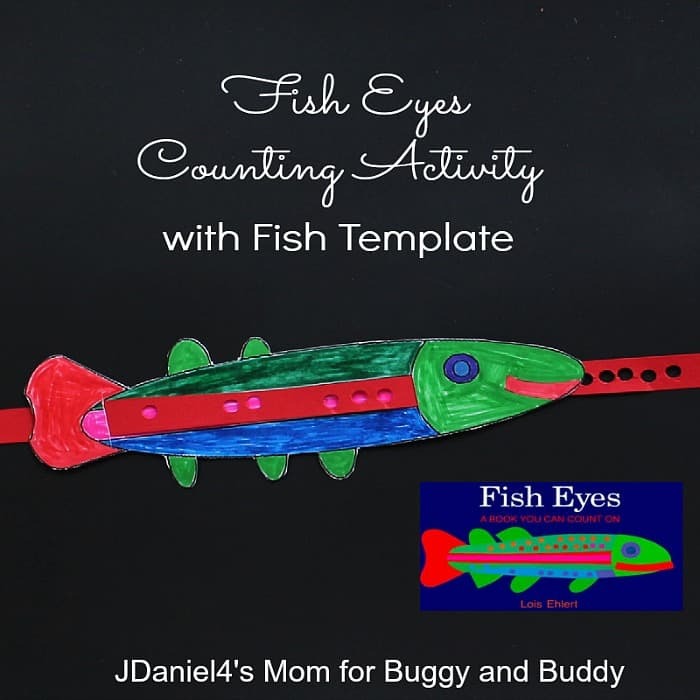 For Fish Eyes I created a counting craft that features a fish resembling the fish on the cover of the book. 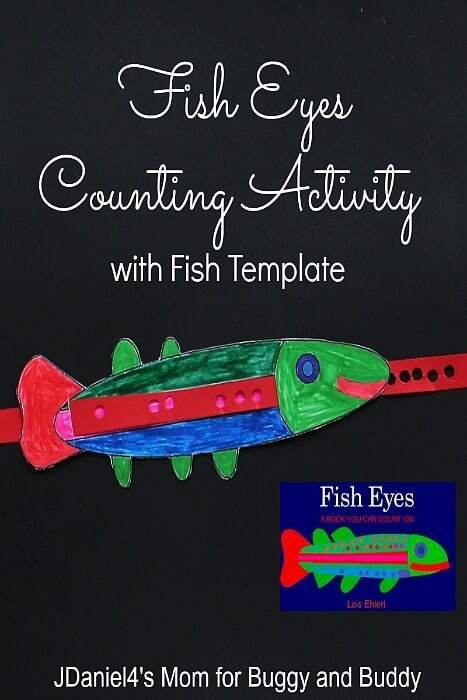 You can use the free fish template to complete the counting craft with your kids. 1. 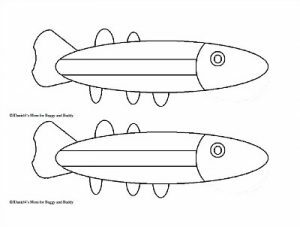 Print out the fish template and color it. You can use a variety of coloring tools or just focus on one. 2. When you have finished coloring your fish, cut it out. 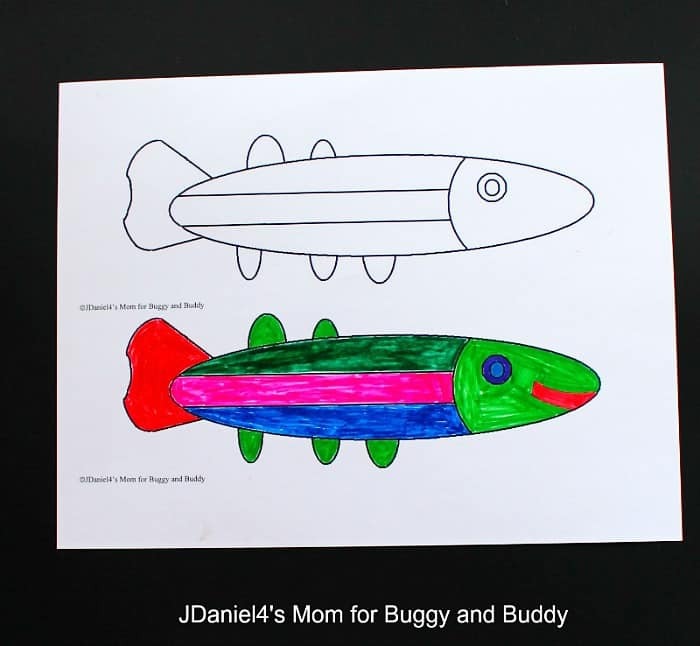 Depending on your child’s cutting skills, you can cut along the black lines or cut an oval shape around the fish. 3. Prepare your fish for the counting strip by cutting a small vertical slit about an inch high near the fish’s tail and another at the back of his head. 4. 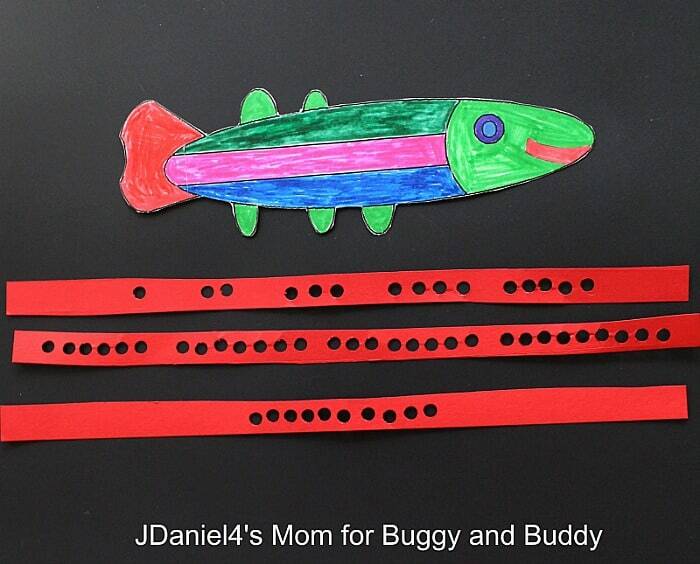 Make the counting strips to slide through the slits in the fish. 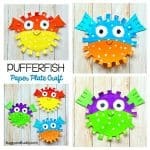 Cut some strips of paper about an inch thick (so they fit through the slits in your fish). 5. Punch groups of dots onto the long strip of colored paper. On the first strip punch one hole and leave a space. Then punch two holes next to each other and leave some space. Next punch three holes next to each other. Repeat this process until you have punched a group of five holes on the first strip. Create a second strip with group of holes that represent the numbers six through nine. A third and final strip will receive ten holes. 6. Place one strip at a time up the slit near the fish’s head and then down the slit near the fish’s tail. Carefully pull the strip back a little at a time. Count the holes as you pull the strip! 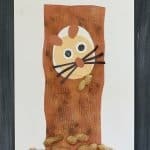 Deirdre Smith blog at JDaniel4’s Mom. 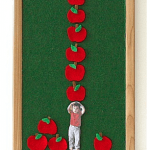 She shares learning activities, crafts, and food creations made with and for her son, JDaniel. You can follow her on Facebook, Twitter, and Pinterest!